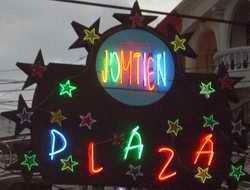 Jomtien Complex, located just a few kilometers south of Pattaya is one of the top gay destinations in South East Asia. Located less than 5 minutes walk from the world famous Gay Beach, Jomtien Complex offers a wide array of Gay Bars, Restaurants, Saunas, Hotels & Guest Houses that cater to gay clientele. You'll find easy access to Shopping, Tours and the other well known Gay areas in Pattaya - Boyztown and Sunee Plaza as well as outdoor activities such as golf, tennis, para-sailing & swimming. Less than 2 hours from Suvarnibhumi International Airport (BKK), Jomtien Complex is the ideal place to base yourself during your stay in Thailand.